Marketing Completion Fund, Inc. is a media investment company formed to finance, develop, and distribute original and existing intellectual property (“IP”) brands, content and technologies and maximize the global revenue opportunities. Our vision is to apply a Financing Risk Mitigation System and Marketing Technology System to reduce risks investing in new intellectual property (“IP”) ventures and monetize the revenue opportunities globally. MCF will invest in IP developed by early stage companies in a range of industry sectors and provides professional consulting services to companies focused on IP technology. MCF provides professional consulting services to companies that include capital raising services, business development, marketing, sales and investor and consumer lead generation (www.leadmatching.com). Pricing options for services are a combination of hourly rate, monthly retainer, commission for sales, and equity shares of company stock based on contribution to the anticipated company's growth in value. Lead generation services are a combination of upfront media campaign development costs and delivered lead price. MCF has developed a investor lead generation program for FINRA registered retail broker dealers that are seeking additional investors. MCF assists early stage companies find new sources of capital and investors. This includes Angel, Accredited, Corporate Venture, Family Office, FINRA Registered Broker Dealers, Hedge Funds, and Private Equity. 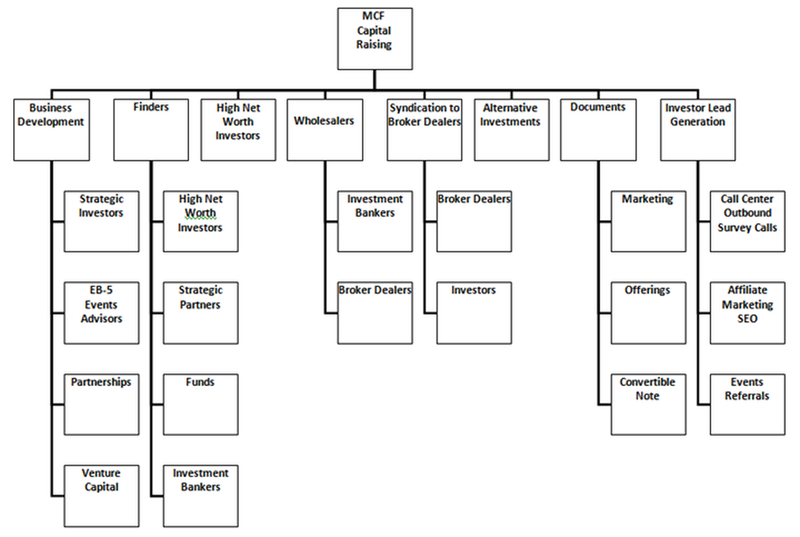 MCF has system that focuses on generating a large number of investor leads and combining this with negotiating a selling agreement with a FINRA Registered Broker Dealer with an experienced team of retail registered representatives. MCF works with compliance officers in developing the documents and messaging to generate online and offline investor leads. The leads are generated in a targeted geographical area so a rapport can be nurtured with the investors. This is done by inviting investors to monthly investment seminars the company produces or other events we partner with. Over the last 5 years the MCF management team and clients have attended, exhibited or presented at 400 events, communicated and worked with 250 event producers and generated 15,000 direct investor and business contacts. Events that cover China - U.S. Cross Border Trends and Opportunities Investing in Alternative and Emerging Technology. Exclusive events and networking opportunities for Wealth Managers, Family Offices, Angel, High Net Worth, and Accredited investors. Access to capital and investor resources for companies, entrepreneurs, and startups seeking funding. Polls of investors and investment professionals have been conducted to determine their ideal investment scenario. One of the common responses is the goal of achieving a double-digit total return in all economic environments. At the Investor Wealth Builders Series we are going to explore exciting 2018 Innovation and investment diversification through asset class selection. Our programming features innovative leaders in AI, Autonomous Vehicles , Blockchain, Cryptocurrency, Cyber Security, Healthcare, medical technology, Quantitative Funds, Robotics and Real Estate who will discuss what they do, and how to achieve in tech. 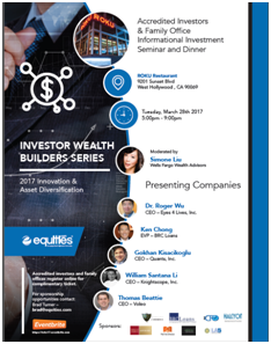 This event is for high net worth, Family Office and accredited investors seeking to learn about investment opportunities and have capital allocation available for 2018.
management company in Los Angeles, California since 2010. 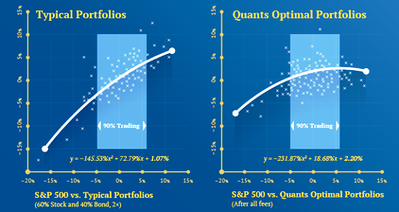 ​Quants has built proprietary quantitative risk indices for smart beta investing with derivative overlays that can improve the portfolios to potentially deliver two times better distribution of monthly returns without tactical trading. QuantsPlus™ is a patent-pending automated alternative investment platform offering access to QIT™ - Quants Investment Technology with a SaaS (Software-as-a-Service) distribution model. QIT™ will analyze portfolios, determine the appropriate allocation of Quants Smart-Beta Building Block ETFs for an optimal portfolio and rebalance them automatically over time. QuantsPlus™ will help financial advisors and individual investors generate better risk-adjusted investment returns by leveraging technology and algorithms who want next-generation alternative investment services and products. The alternative investment platform is built for financial advisors and institutional partners to accelerate client growth, retention, and better portfolio ROI. 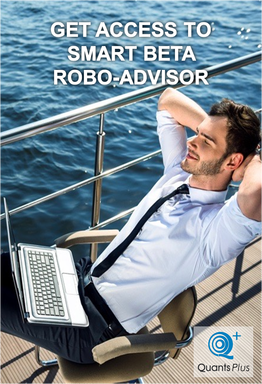 Financial Advisors and Digital Advice partners will have an easy to integrate and embeddable Advisor brandable widgets to provide access for their clients to analyze and optimize portfolios with the QIT™ - Quants Investment Technology. Individual Investors will be able to access the easy to use QIT™ - Quants Investment Technology to analyze and optimize portfolios on the platform. MCF is developing and financing the Iron Ice film and Hat Trick lifestyle brand intellectual properties (IP) targeting the China, U.S. and global entertainment ($2.2 trillion) and sports ($1.5 trillion) markets. Our mission is to build cultural bridges and economic development with entertainment and sports diplomacy by developing profitable entertainment projects and film stories that tell a universal theme that applies to anyone regardless of cultural differences or geographic location. 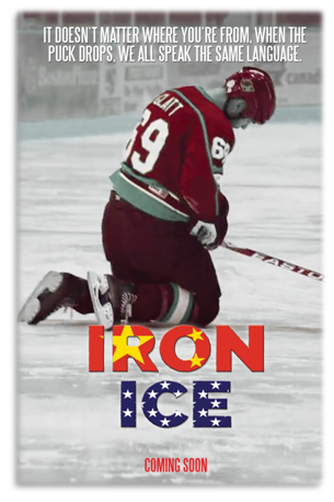 The IRON ICE feature length film is a compelling drama set against the expansive backdrop of Beijing, China, the Mesabi Iron Range in Minnesota, and the Minnesota State High School Boys Hockey Tournament and features a Chinese national immigrant with his family settling in Minnesota as the head of the family accepts an important position with a multi-national iron mining company. The oldest son bonds with a local of many generations through youth hockey and helps the team win the Minnesota State High School Boys Hockey Tournament. MCF has developed a Financing Risk Mitigation and Marketing Technology System to reduce risks investing in new intellectual property (“IP”) ventures and monetize the revenue opportunities globally. ​The first project and investment opportunity utilizing the Financing Risk Mitigation and Marketing Technology System is the Iron Ice feature film and Hat Trick lifestyle sports brand intellectual properties (“IP”) targeting the China, U.S. and global entertainment and media ($2.2 trillion) and sports ($1.5 trillion) markets. MCF has developed an investment structure to invest in motion pictures that has the potential to earn substantial returns. The film can earn revenue from box office receipts and ancillary rights sources of income. 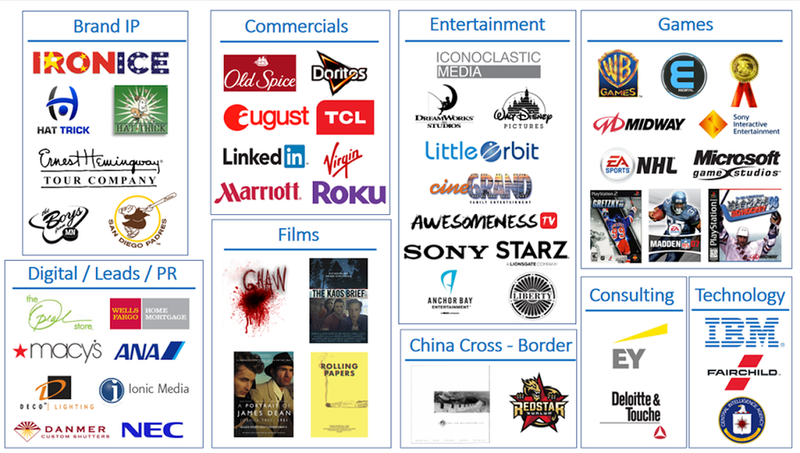 These sources include merchandising rights, television spin-off rights, home video, sequel, prequel and remake, book publishing rights, computer game rights, soundtrack album rights, and the music publishing rights in the score. 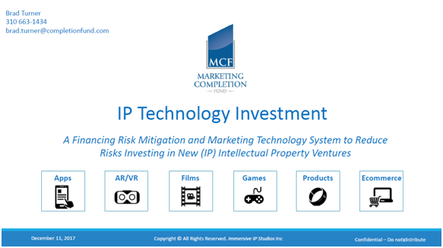 Reduce levels of risk investing in new IP ventures. Generate customers and revenue PRIOR TO PRINCIPAL PHOTOGRAPHY. Generate revenue projected to be $5,000,000 in 30 months, $60,000,000 in 60 months, and over $300,000,000 in 120 months From feature films, animated series, books, eCommerce subscriptions, mobile games, AR/VR, events lead generation merchandise, travel marketing, celebrity charity events, youth fund raisers and other categories. 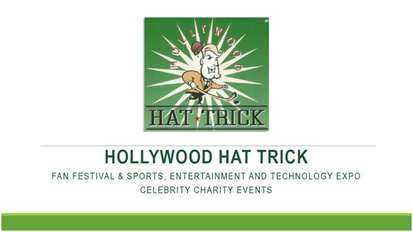 Hollywood Hat Trick is a Sports, Entertainment and Tech Festival and Expo with Celebrity Games and Awards Gala. HHT provides an opportunity for the community to raise funds for non-profits on a local and national level. Previous beneficiaries have included Toys For Tots, Minnesota Sports Association, and Mariucci Inner City Hockey Association. The celebrity teams are comprised of current and alumni professional players, Hollywood celebrities that play hockey, basketball and soccer, in addition to players from the community at large. 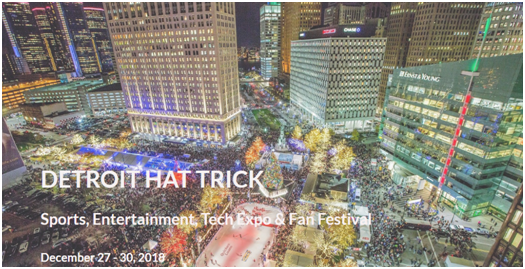 Fan Festival that provides new sports technology experiences in AR, eSports and opportunity to meet the professional, college and associations sports teams. VIP Party with Detroit and Hollywood Sports, Business, Technology Community Leaders. Awards Gala and Banquet honoring Detroit, Michigan, and Global Business Leaders that have contributed to the development of City of Detroit and Michigan. 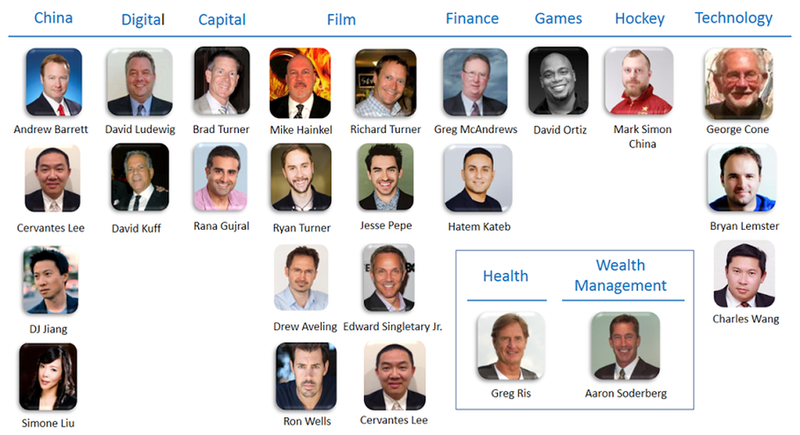 The MCF management team, advisors, consultants, and partners are comprised of individuals and companies that have extensive experience in Capital Formation Structuring, Financial Modeling, and Capital Raising, China M&A, Digital Marketing, Entertainment, Film Financing, Production and Distribution, IP Brand and Technology Development, Marketing Technology, Product Development, Semiconductor Plant Manufacturing, Software Development, Sports, AR/VR Technology Labs, and Wealth Management. Technology – Developed AR/VR technology for United States government agencies and built semiconductor plants in United States and Taiwan. Capital – Developed innovative capital formation structures and capital raising strategies. Provided services to 234 securities engagements totaling $2,173,809,195 in capital raised. Films – Experience in the acquisition and selling of $5 billon of film content for major studios, successfully produced and distributed independent feature films, and documentaries. Games – Developed sports games for Activision, EA, Midway, and Sony that generated $1.5 billion in sales. Developing next generation AR/VR games and eSports experiences. Lead Generation – Digital marketing and call center services for financial service companies and consumer brands.